Tech N9ne may have found himself another Chopper in the rap game. 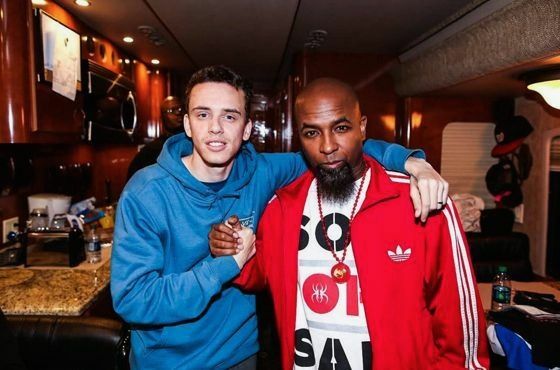 During Logic’s Kansas City stop on The Incredible World Tour, he had the chance to chop it up with KC’s own Tech N9ne. Two of hip hop’s top emcees in the same room together – wouldn’t it be nice to sit in on that conversation? Well, thanks to DJBooth.net, we can now see how that meet & greet went. After Logic shows his “Gang Related” to Tech, the two follow up by kicking some incredibly fast freestyles and have what seemed to be an overall great time. Would you like to see a Tech N9ne and Logic collab in the future? Do you think Logic is Chopper status?